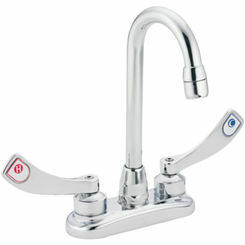 Every restaurant has commercial faucets that provide functionality. 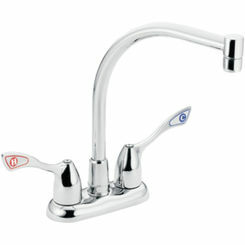 Pantry and prep faucets can be considered a complimentary faucet to the main one within the kitchen. 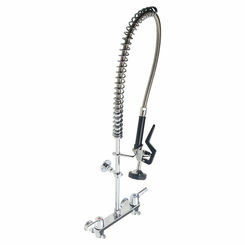 The faucets generally take up a small space and provide a second preparation area for cooking and cleaning. 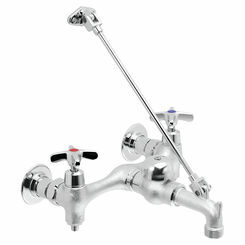 These faucets are commonly found in a single handle control connected to the spout. 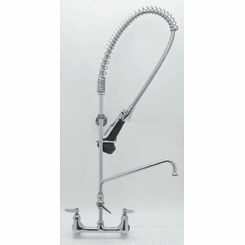 They are also manufactured with high arching spouts that swivel adding convenience to cooking, cleaning and preparing. 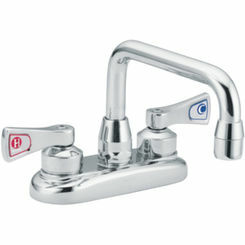 The prep faucet, also known as bar faucets, makes a great addition to dens and “man caves” as well as kitchens. 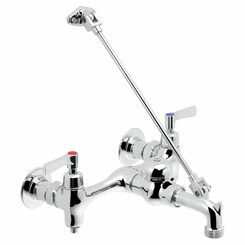 Here at PlumbersStock, we have a wide selection of Prep faucets. 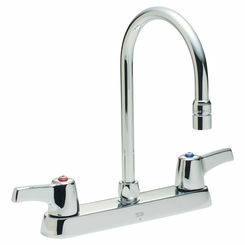 We are dedicated to offering high quality faucets from respected manufactures from the faucet industry. 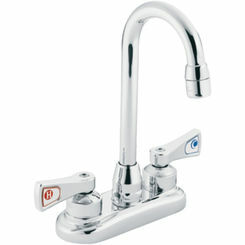 We carry prep sink faucets from Delta, Moen, Chicago, Brizo, and Elkay just to name a few. 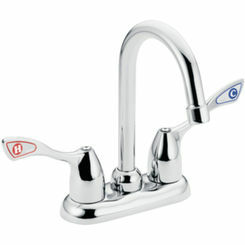 There are many applications where these faucets can be used because of their great functionality. 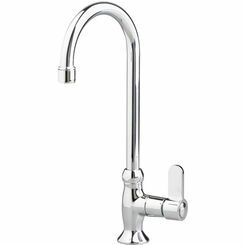 Functionality is not the only benefit of these prep faucets, which have great design aesthetics that add beauty to any application. 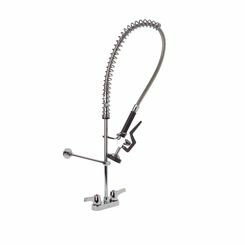 Many of the faucets come in a Chrome finish, but are also available in Stainless Steel, Oil Rubbed Bronze, White, Brushed Bronze, Venetian Bronze and many more. 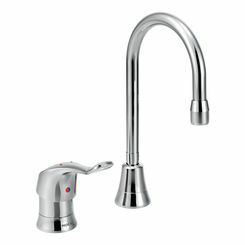 Choosing a faucet may seem like an easy feat, but it is important to understand some of the features and descriptions of the products in order to find the faucet that fits your needs the best. Items such as Finish, Configuration, Style and Construction are factors that should be considered. 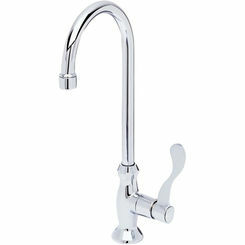 Finish - Most faucets have a solid brass construction and then a finish is applied to them. The Finish is the color coating (finish) that you see. You should choose a finish that matches your counter top, but more importantly, you don’t want a finish on your prep faucet that clashes with your kitchen sink faucet. 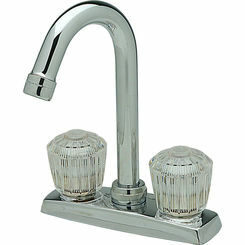 Style - “What style of faucet would you like?” or “What faucet will add to the aesthetic in the room?” These are questions that you may want to answer before choosing a Bar, Prep or Pantry Faucet. 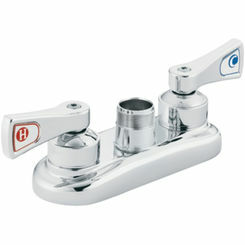 Style specifically refers to the design of the faucet. 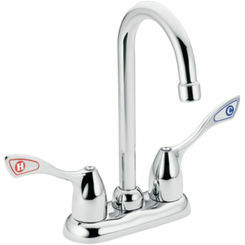 There could be a faucet that would look better in your kitchen than at the bar in your man cave. 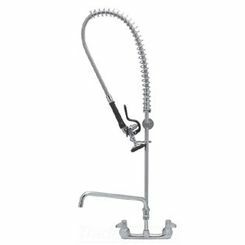 Construction - This includes features such as Cartridges and Compression Valves, Ball Valves and Ceramic Disc Valves all are different types of faucets that are commonly available. 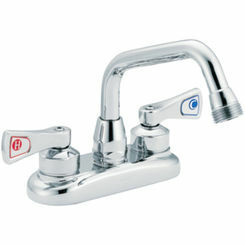 Most Prep Sink Faucets use a Ball Valve construction, which are single lever faucets.  Here at PlumbersStock, we want you to find the right product to complete the job. 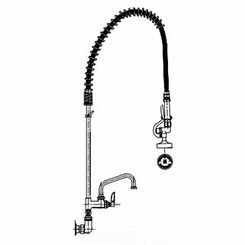 Our wide selection of Prep and Pantry faucets help both the contractor and the Do-it-yourselfer find the perfect one for any application. 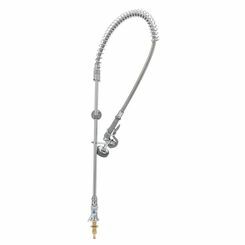 If you have any question, do not hesitate to contact us and we can answer any questions that you have about shipping rules or the prep sink faucets themselves.